Vent-Axia’s Panel Heaters offer a wide range of heat outputs from 500W to 3000W and every model comes with thermostat control, integral 7 day timer and adaptive start. 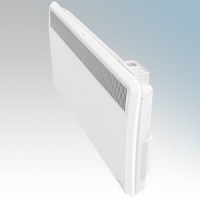 Vent-Axia Panel Heaters look as good as they perform. Stylish and slim, they occupy minimal wall space and are finished in an attractive white finish.